No time for a shower? No worries because we found Purequosa! These are cleansing sprays that TrailblazerGirls will find very useful when camping, hiking, cycling, running, traveling, and basically anytime you are out and about doing your TrailblazerGIrl thing. 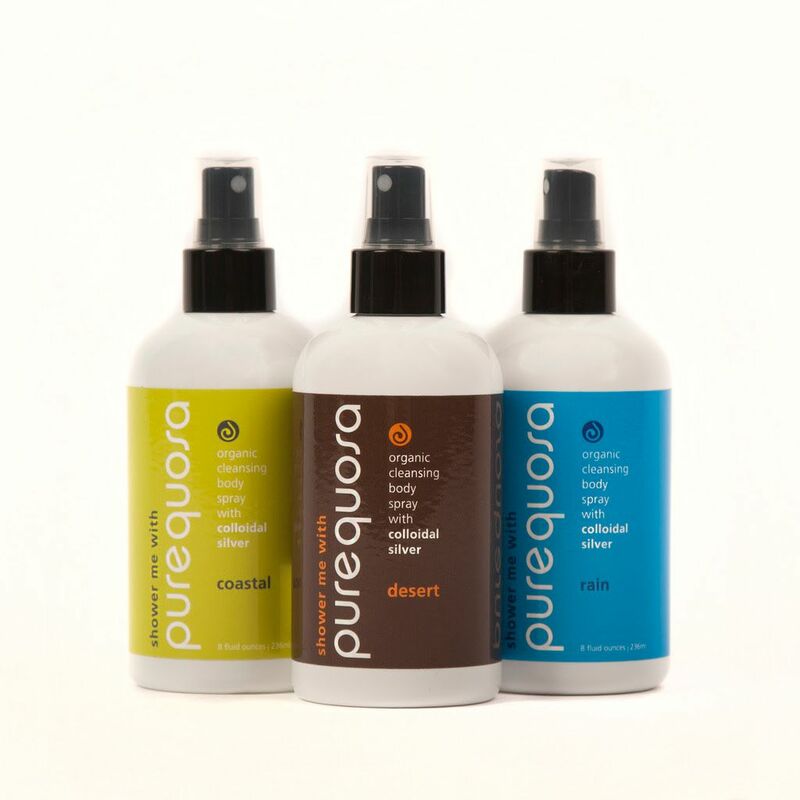 With organic ingredients, Purequosa will have you smelling and feeling refreshed. Here are the key ingredients: the colloidal silver (e.g. microscopic bits of silver floating in purified water) is an anti-bacterial, antiviral superhero that kills off odor causing bacteria, while the hydrosols (e.g. aromatic plant/floral waters) serve a variety of functions like helping with wound healing, softening and hydrating your skin, burn and acne relief, and as a disinfectant. There are 3 scents available: Rain with cucumber, aloe, and tea tree; Coastal with yucca, aloe, and eucalyptus; and Desert with yucca and eucalyptus. Use any of these sprays on your body, clothes, or equipment – they go on clear and dry without a mark – and you’ll be sweet (not sweat!) smelling in no time. Purequosa is the time-saving solution for the busy and active TrailblazerGirl!